MoviePass has announced a new subscription service that allows moviegoers to see a movie a day for $10 a month at any theater that accepts debit cards. The news crashed their servers as people excitedly wanted to take part in the new subscription service aimed at getting people back into the movie theaters. While the new subscription from MoviePass has been popular among consumers, AMC Theaters has decided to threaten legal action, stating that MoviePass, "is not in the best interest of moviegoers, movie theaters, and movie studios." The MoviePass subscription service was started by early Netflix executive Mitch Lowe in an effort to pull people from streaming movies at home and get them back into the movie theater to experience the movies the way that they were intended to be experienced. The subscription service was previously $15 a month and allowed moviegoers to see 2 movies a month, except for New York and California where the price was $21. It has been reported that MoviePass currently works in 91% of movie theaters around the United States and that they are able to boost movie theater attendance and concession sales up to 111%. This sounds like a great idea for consumers and movie theaters, so what's the holdup? Variety reports that AMC Theaters is looking into ways to prevent the service from being allowed at its theaters. 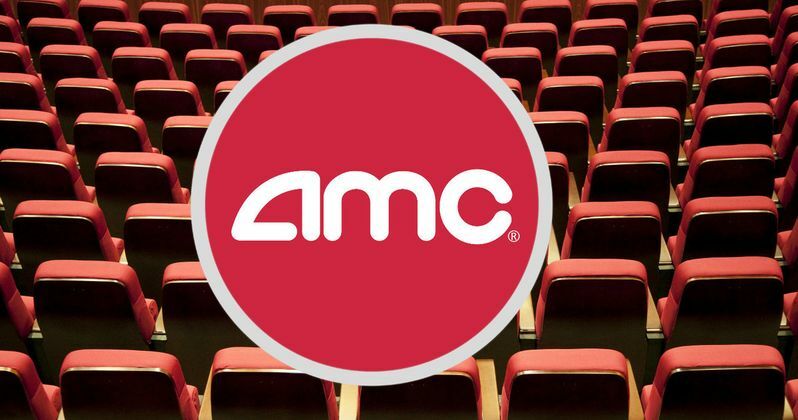 AMC has questioned the long-term viability of the MoviePass model, noting that the average ticket price to see a movie at an AMC theater was currently at $9.33 and that MoviePass will essentially be losing a lot of money. AMC released a press statement in hopes to show how MoviePass would be bad for business by highlighting MoviePass first. The statement reads. "From what we can tell, by definition and absent some other form of other compensation, MoviePass will be losing money on every subscriber seeing two movies or more in a month." In addition, AMC claims that MoviePass will impact the customer experience at their theaters by leaving them unable "to operate quality theaters." It is not clear why AMC has soured on MoviePass over the last 2 years since the two companies worked together, but it appears as if they are pretty serious about blocking the new subscription service. In an a weird twist, AMC and MoviePass partnered together in 2015 in a pilot program, which is where MoviePass obtained their data to promote the new subscription service. MoviePass is also trying to sell themselves to the movie studios and theaters by stating that they are after numbers to prove a point and gather information about moviegoer habits in order to help with target advertising. MoviePass also announced that they had sold a majority stake to Helios and Matheson Analytics Inc. for an undisclosed amount in an effort to gain more data and offset the new price point. It looks like AMC is trying to keep their own subscription service, Stubs, intact, but it might be a good idea to partner with MoviePass with a singular vision: Get people into the movie theaters again. Mitch Lowe, who in addition to co-founding Netflix, also was the former head of Redbox. He says that he sees a direct correlation between what AMC is currently doing and Blockbuster Video's stance on streaming and kiosk rentals from years ago. Lowe explained. "This is so much like Blockbuster was when we rolled out Netflix or Redbox. It's the big guy being afraid of the little guy offering better value to consumers." After a rather disappointing summer at the box office (save for Guardians of the Galaxy Vol. 2 and Wonder Woman), the MoviePass subscription service could be the shot in the arm to get moviegoers back into the seats of a theater as opposed to streaming something at home. Movie ticket prices keep getting higher while attendance gets lower and lower, so maybe MoviePass is the next step in saving the movie theater experience.